I am a writer, journalist and documentary film-maker. 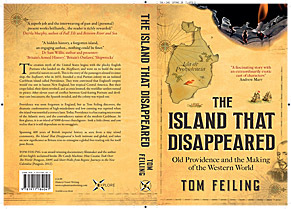 My latest book The Island that Disappeared was published by Explore Books in May 2017 and by Melville House in the US in May 2018. It is a potted history of the Caribbean, and Britain’s impact on it, as seen from Old Providence, a tiny, isolated island that was one of England’s earliest colonies. Read more about it here and here [US edition]. 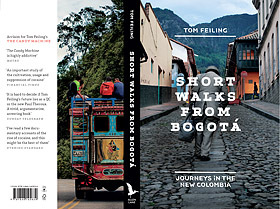 My last book 'Short Walks from Bogota: Journeys in the New Colombia' was published by Allen Lane in August 2012. It is a timely and multi-faceted exploration of a country as fascinating as it is feared. You can find out more about the book here. 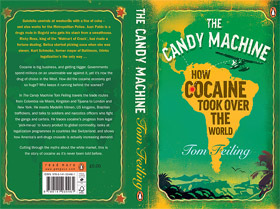 In 2009, my first book 'The Candy Machine: How Cocaine Took Over the World' was published by Penguin Books. See here for details. In 2010, it was published as 'Cocaine Nation: How the White Trade Took Over the World' in the United States by Pegasus Books. 'The Candy Machine/ Cocaine Nation' is based on over 60 interviews with people involved in all aspects of the cocaine business, including coca growers, traffickers, narcotics police, judges, casual users and addicts. If you'd like to read some abridged versions of the interviews, click here. Prior to writing my first book, I worked as Campaigns Director for the TUC's Justice for Colombia campaign, which organizes for human rights in Colombia. Between 1995 and 2005, I worked in documentary production. In 2001, I spent a year living and working in Colombia before making 'Resistencia: Hip-Hop in Colombia', a feature-length documentary that won awards at film festivals around the world and was broadcast in Sweden, Finland, Australia and New Zealand. If you'd like to discuss any aspect of my work to date, or enquire about commissions, feel free to email me at tfeiling@hotmail.com .